If your sidewalk, driveway, garage area, patio, or concrete steps have sunken and uneven concrete, you may want to consider an easy fix with our REPOX-MIX concrete repair product. What Causes Outdoor Concrete Problems? Outdoor concrete sinking isn’t an uncommon problem. As the soil base erodes, shifts, and weakens, the concrete slabs above it is left unsupported and can sink, crack, and become uneven. Most outdoor concrete sinking can be attributed to soil shrinkage, soil compaction, and soil settling issues. Soil compacting, and settling is often caused by the soil’s load bearing capacity being exceeded or just natural settling and compacting from age. Soil shrinkage is a common issue when soil contains copious amounts of silt or clay. Washouts are also a common reason concrete is left unsupported from voided spaces and therefore prone to unevenness, sinking, and cracking. It’s most common around steps, patios, and driveways. Heavy rains, long droughts, and thawing after freezing can all cause the soil to erode and wash out. • Trips and falls and potential liability lawsuits from injuries. • Damage to the above buildings and structures. • Difficulty selling the home and home value decline. • Difficulty fully enjoying the property. • Noncompliance with HOA rules and regulations. What Concrete Problems Can REPOX-MIX Help? How Does Concrete Repair Epoxy Help? We have a product to help solve your concrete woes. 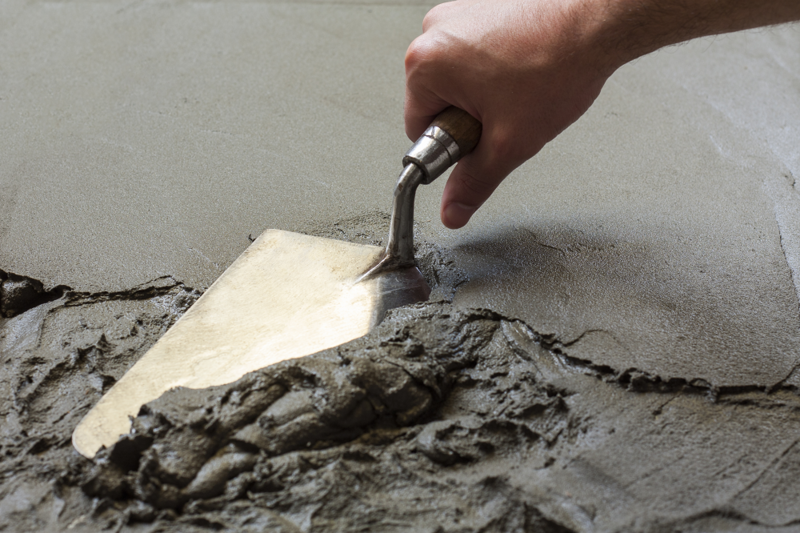 REPOX-MIX is completely premixed epoxy mortar unlike anything else on the market. No need to worry about shrinkage. It’s made from a three-component compound of 100% solids epoxy resin base. This leveling solution cures hard without brittleness, and it secures to almost any solid surface, including metal, brick, wood, and concrete. Unlike other products, REPOX-MIX can even bond to damp surfaces, making it perfect for outdoor applications and those where it’s impossible to achieve completely dry surfaces. The usages are endless. Use it in federally inspected meat and poultry plants since it’s USDA approved. Use it in the most extreme conditions as a strong patching mortar that can be featheredged. Use it to fill and resurface concrete curbing and steps, brick, metal, or wood. Use it to anchor posts, signs, equipment, and meters.